Why Use Interviews in Conservation? Conservation interventions need to be implemented on the ground, so a range of people are required to make decisions. Decision-makers can be people like conservation practitioners, policy-makers, and stakeholders who could be affected by an intervention. This usually includes local residents, as well as people who make their living in the area, like fishers, farmers, hunters, and other businesses. Since decision-making structures are complex and multi-layered, scientific evidence alone is not enough to guide the implementation of a conservation intervention. Researchers need to understand who’s involved in making decisions, who could be affected by the proposed intervention, and gain an appreciation of how local communities use and value their land. Often they’ll also need to find out what local communities think of particular species and habitats. But how can we, as researchers, find out about all of this? For a full picture of what is happening on the ground, we need to talk to people. Interviews are a widely used methodology in social science research, as they allow an in-depth, contextual investigation of a question. They’re a good way of talking to, but also listening to, people whose support is needed for conservation, and for getting a sense of what is going on in a particular place. 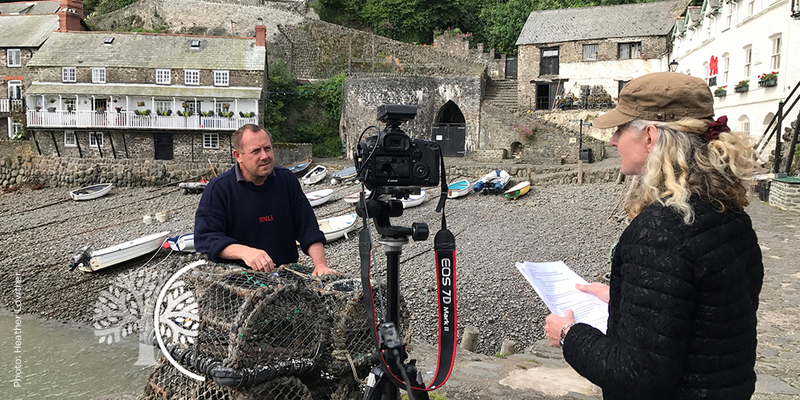 Dr Gill Ainsworth (CEH) uses the Community Voice Method to interview an inshore fisherman [grant number NE/L003279/1]. Are Interviews Being Used Well in Conservation Research? On reflection, this is definitely the wrong approach to take. Yes, interview methodologies, particularly when semi-structured or unstructured, can rarely be replicated by another researcher in the same form. But that shouldn’t give us an excuse to avoid justifying, or reporting on, our methodology in our outputs. Without proper justification and reporting, readers can’t make an informed judgement about the robustness of the study. So we set out to review the literature to figure out whether interviewing as a methodology was being robustly used, and reported upon, across the board in conservation. How Do You Conduct a Good Research Interview? A step-by-step guide to using interviews. Click to enlarge image. We assembled a talented team of researchers from all over the world to conduct the review, co-led by Juliette Young and Nibedita Mukherjee. From a sample of 227 papers that used interviews in a project related to conservation decision-making, we asked which performed well against a series of set criteria. Our criteria included whether the authors had justified why they chose to perform interviews, whether their sampling methodology was clear, and how resulting data were analysed. 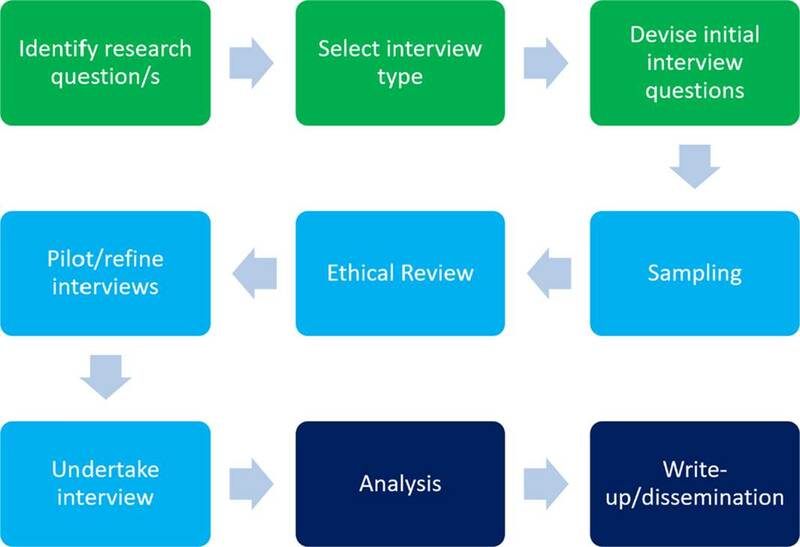 Before discussing the results, we also suggested a nine-stage process for how to carry out interviews in research (see above). For those new to interviewing, we hope that this guide is useful. At each stage, decisions must be noted down and reported in subsequent outputs. The reason for using interviews was presented in only 27% of the reviewed papers. 86% of papers didn’t say whether they had piloted interviews, which is a key stage of the process. 17% of papers didn’t specify their sampling strategy. 66% of papers didn’t specify their transcription method (for example, whether interviews were recorded and transcribed verbatim, or whether notes were made). Only 14% of papers discussed the disadvantages of the method. Only 39% of papers gave information about how their interviews were analysed, which means that it wasn’t always obvious where conclusions came from. 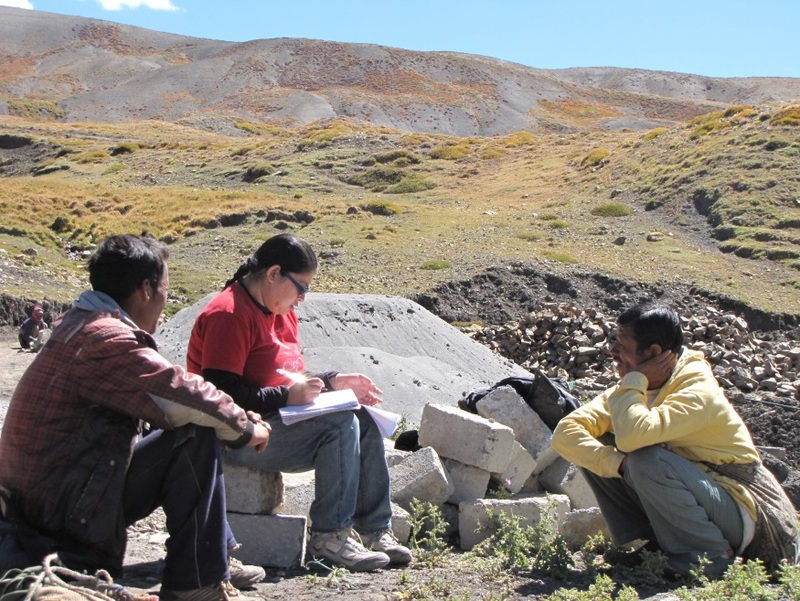 Interviews are such an important method for providing contextual information about conservation projects. We encourage conservation researchers to use them more to gain an appreciation of what is happening in a particular place. Researchers need to think carefully about choices made at each stage of the interviewing process though and, crucially, include that information in their papers and other outputs. This lets readers make an informed judgement about the robustness of the study, and to plan similar studies that build on it. We should never use the excuse that qualitative methodologies aren’t reproducible to defend a weak methods section. Journal editors and reviewers need to play a part in this. When authors have used interviews as part of their methodology, we should ask them for all of the information we need to judge the strengths and weaknesses of their paper. This may well mean longer methods sections, and longer supplementary material, but it shouldn’t mean much extra work for researchers themselves. After all, they should just need to add in the decision-making information that they’ve already noted down. This article is part of the ‘Qualitative methods for eliciting judgements for decision making’ Special Feature. All of the articles in this Special Feature will be freely available throughout 2017. This entry was posted in Conservation and management, Methods papers and tagged conservation, Decision Making, Interviews, Qualitative Methods, Research by Chris Grieves. Bookmark the permalink.